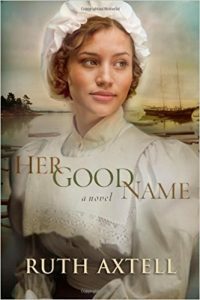 Dutiful Jessamine Barry is tired of waiting patiently for a man to decide her future. 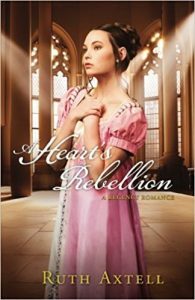 So even though Lancelot Marfleet, second son of an aristocrat, is taking an interest in her during the London season, she refuses to consider him as a suitor. 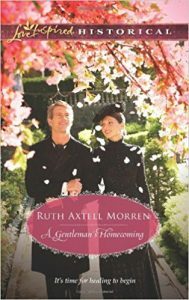 Instead, she’s ready to take fashionable society by storm–and finds a rakish young man all too willing to help her do it. When things go too far, Jessamine will learn that the man who is faithful through thick and thin is more worthy than the one who speaks pretty words. But will her disgrace keep Lance from reconsidering her as a wife? And when tragedy strikes and Lance becomes his father’s heir and a titled gentleman, will he think she only wants him now because of his title? 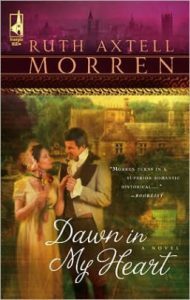 Fans old and new will love this lush Regency London story of discovering one’s true self and finding one’s true love. Lady Celine Wexham seems the model British subject. 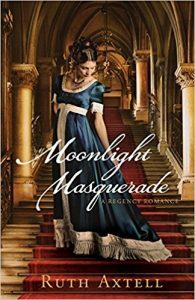 French by birth but enjoying life in 1813 as a widowed English countess, she is in the unique position of being able to help those in need–or to spy for the notorious Napoleon Bonaparte. When Rees Phillips of the British Foreign Office is sent to pose as the countess’s butler and discover where her true loyalties lie, he is confident he will uncover the truth. But the longer he is in her fashionable townhouse in London’s West End, the more his staunch loyalty to the Crown begins to waver as he falls under Lady Wexham’s spell. Will he find the proof he needs? And if she is a spy after all, will he do the right thing? In the 1890 thriving coastal town of Holliston, Maine, the leading lumber baron’s son, Warren Brentwood, III, returns from his years away at college and traveling to take up his position as heir apparent to his father’s business empire. Esperanza Estrada is the daughter of a Portuguese immigrant fisherman who has grown up surrounded by a brood of brothers and sisters and a careworn mother. Unable to pretend she is anything but “one of those Estradas,” Espy has no chance with Warren, no matter how striking she is. When she overhears of a position to clean house at a local professor’s home on Elm Street, she jumps at the opportunity, hoping to be able to run into Warren Brentwood now and again as well as to imbibe the cultural and intellectual atmosphere of the Stocktons. After years traveling in Europe with her musician husband, all that widow Mara Keller wants is security for her son. 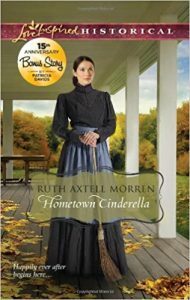 A half-share in her father’s Maine farmhouse is the only refuge she has left, even if her resentful stepmother treats Mara as little more than a servant. But there is one bright spot: the unexpected kindness of neighbor Gideon Jakeman. A widowed farmer with a teenage daughter, Gideon hardly pictures himself as anyone’s Prince Charming. Especially a woman of Mara’s refinement. Yet his quiet, rugged strength makes her feel as though she’s found her rightful place by his side, if they can find faith enough to forge their own happy ending. It’s been six years since Luke Travis has seen his native England…and his son, Sam. But his hopes for a joyful reunion are shattered when he learns that Sam wants nothing to do with him. There’s one ray of hope–Luke’s former sister-in-law, Bobbie Gardner. 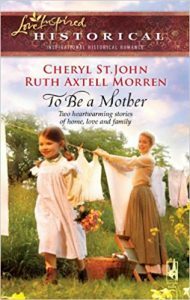 The kindhearted woman has been a mother to Sam for all these years, and she promised to help mend the breach between father and son. But can Luke trust another Gardner? His wife betrayed and abandoned him, and his father-in -law took his son away. 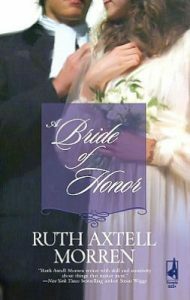 Bobbie must prove to him that she is note her sister, or her father, but a woman who is all Luke could wish for in a wife. It is a truth universally acknowledged that a lady of rank and distinction is not match for an impoverished preacher. Yet Damien Hathaway is entranced from the moment he spies Miss Lindsay Phillips entering his church. She doesn’t appear any different from the other pampered society ladies, and she’s betrothed to a gentleman of the ton. But Damien is determined to find the pure heart he’s sure exists underneath all the ruffles and lace. The unlikely friendship formed by Damien and Lindsay is a revelation to them both, but is frowned on by her father–and Damien’s parishioners. Torn between two worlds, the pair must trust their love can bridge the divide and conquer all. Maddie Norton had long since resigned herself to her spinster’s lot. Her life was devoted to her simple yet enduring faith, to good works and to the elderly lady whose companion she was. She believed herself content. But that was before her mistress’s handsome nephew returned to London, after many years spent abroad as an archaeologist. The shadows in Reid Gallagher’s memory-haunted eyes touched Maddie’s heart. When he asked her to help with his work, she could scarcely refuse. 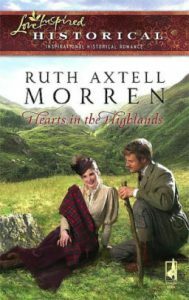 And as she came to know this man better, amid the breathtaking beauty of the Scottish Highlands, she began to wonder if two solitary souls might yet find new life–and love–as one. 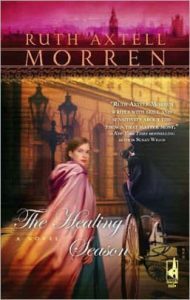 Though he’s found his life’s calling ministering to London’s underclass, Dr. Ian Russell hadn’t yet found his life’s mate. Then the former army surgeon encountered the enchanting stage actress Eleanor Neville. Ian’s good works and strong faith set him apart from other men Eleanor knew. She feared her notorious past would end their future together before it had even begun. Could true love overcome all obstacles and make their lonely hearts as one?